Sam Lloyd studied at Brighton University where she gained a BA Hons in Illustration. Now Sam is the author and illustrator of many successful picture books for children. Her picture books include Happy Day, Sad Dog which won the Sainsburyâ€™s Baby Book Award in 2003, Mr Pusskins which won the Booktrust Pre-School Award in 2006 and the V & A Illustration Award. Most recently Calm Down Boris published by Templar in 2006 has been chosen by Richard and Judy for their Christmas Picks. 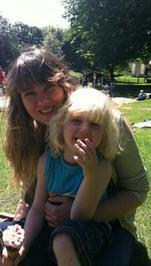 As well as writing and illustrating books, Sam also enjoys yoga, swimming, camping and doing outdoorsy things. She has been all over the world, including travels to India and Australia. Sam also does a lot of voluntary work with children, painting murals. Find the best price forWhat's in Your Tummy Mummy? Thereâ€™s something inside Mummyâ€™s tummy. I donâ€™t know what it could be. Perhaps itâ€™s a buzzing flea or a chimpanzee? Itâ€™s getting bigger every day and Mummy wonâ€™t tell me. But you can lift the flaps to see! A wonderful and fun story for young children about a new addition to the family from much-loved author and illustrator Sam Lloyd. 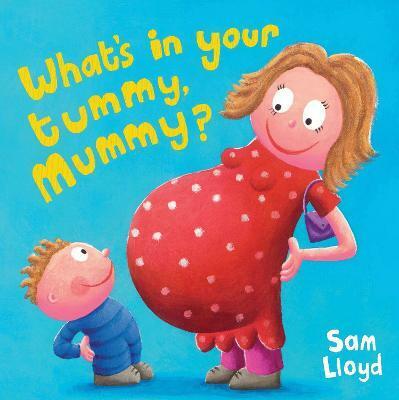 Compare New Book Prices for What's in Your Tummy Mummy?